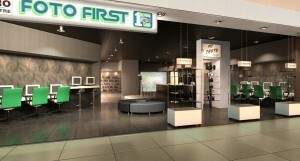 Brand new Foto First Flagship store opening in Fourways Mall on 1 October. Camera clearance specials with prices never seen before! That’s the word we recently got from Foto First head office. If you have not visited one of their flagship stores recently and still think Foto First is a dingy, chemical smelling lab for fast film processing in an hour then think again, these stores stock top notch gear with competitive prices too. Do yourself a favour and check them out. For the Fourways store opening you can contact them on 011-465-3797.